Patricia Wettig first caught our eye as Nancy Weston on “thirtysomething,” the nighttime drama that broke ground on every front, paving the way for many series to follow in its footsteps. The “Brothers and Sisters” star is currently starring in the Lifetime original movie “The 19th Wife,” which premieres tonight, Sept. 13 at 9 p.m. ET/PT. 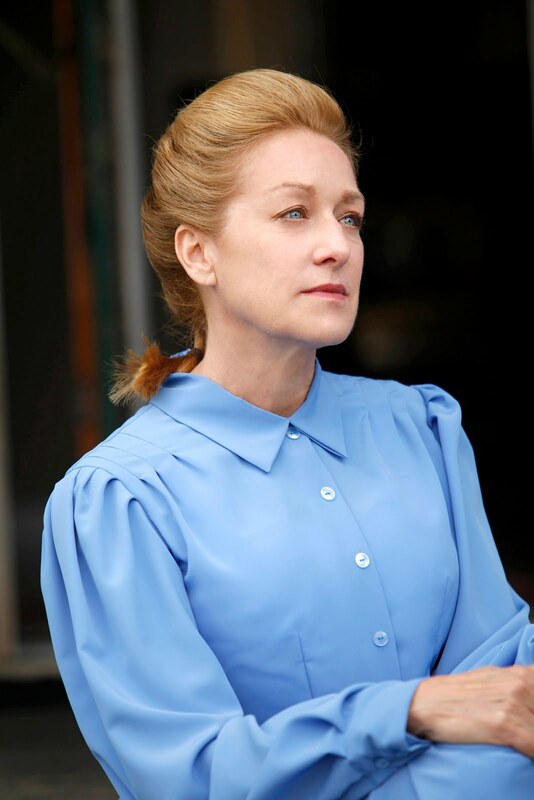 Patricia plays BeckyLyn, the 19th wife of Mormon Sawyer Scott, who is accused of murdering her husband. Daytime Dial: The role of BeckyLyn is different from any role I’ve ever seen you do. What was it about her — how did you connect with her — to made you want this role? Patricia Wettig: I know! It is so different. It’s that fervor … that religion thing. My great-grandmother was married to a Methodist minister. And when I was growing up, she was the person I was closest to of anyone in the whole world. And she had a certain sternness about her and a certain way of doing things. But with me, she was always so loving and so kind and so soft. And nobody else responded to her like that. I don’t know what that was. And she died when I was 9 years old, and it was just such a huge loss to me. But I think it’s a little bit about her — that way about being so absolute in your faith. At least I hope I portrayed it that way. I haven’t seen the movie yet myself. Like the way she connects to her son, that underneath it all is this loving, touching place. DD: That’s definitely what I was thinking of when you told me that with you she was very sweet and tender. I pictured BeckyLyn’s interaction with her son the moment you mentioned that, so it definitely comes off that way. PW: Oh good! And Matt (Czuchry) was wonderful to work with. We just sort of had this instant chemistry, and that is such a blessing for an actor, I have to say. I thought that that was a really central thing for this part. And you never know who you’re going to be cast with. It was really lovely to work with him, I have to say. DD: The way these people are thinking and living, it’s pretty way out there for most Americans. How did you relate? PW: I guess I had to take it off of something in my own life. You have to personalize it in some ways because it is certainly not the way I live my own life and it’s not my religion. But I think I had to personalize it in the way that, what are the things that I have unshakable faith in? What are the things I would not put into jeopardy? DD: I have to commend the writers of it and your performance of her, because she could have very easily been an unlikable character, but she wasn’t. During the jail visits, as we get to know your character, we get to see the pureness in her. You can’t not like her. PW: Oh good. Yes, I do think it’s almost an innocence. Like a purity is how it was coming off to me on the page when I was reading it. It’s like she never really grew up and thought and formed her own thinking. And I think it’s really true for a lot of women in that sect; it’s almost like a brainwashing, like a blind faith. And other people say, well, that’s what faith is. It’s almost like being innocent and young and not looking at all the other possibilities. PW: I like “Big Love” too, but that’s sort of the “fun” version of plural marriage. Look how handsome he is, and all of the three of the wives are so pretty. They do get into stuff, but still it all looks rather pretty to me. I don’t think it is pretty a lot of the time. When we talk about a 60-year-old man marrying a 15-year-old girl, that’s not pretty. That’s not OK with me. I’m sorry, but that’s not all right with me!